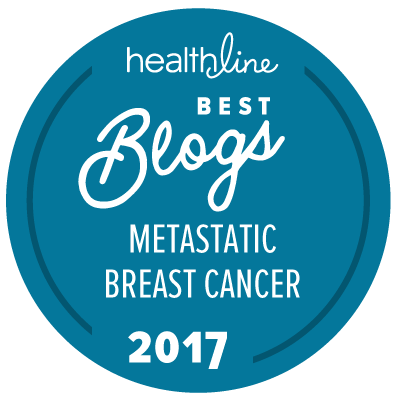 There was a movement among the online breast cancer community yesterday to raise awareness for metastatic breast cancer, to call attention to a side of the disease that rarely gets talked about, to make some noise collectively. Stomp Out Breast Cancer Monday was the brainchild of Beth Fairchild (view her news clip here). The goal was to get the hashtags #dontignorestageiv #bckills and #metsmonday trending on Twitter, Facebook, Instagram, or wherever an impact might be felt. I don't know about you, but my Facebook feed was filled with stories of women I have come to love, women who are facing this disease with so much grace it felt like my heart might burst reading through their experiences. One friend wrote: "The hardest part about living with metastatic breast cancer isn't the treatments. It's looking into my 9 year old's eyes and seeing the pain and fear there. Cancer is a thief that has robbed all of my kids of their innocence." I am also extra emotional because Chris is FINALLY home after four weeks in Africa, because Quinn turns four this week, and because I have a scan on his birthday. It's as if, with Chris back, I can let my guard down and let all this pent up emotion out. I no longer have to run the household by myself, be a single parent (my utmost respect and awe to those of you who are always single parents), or worry as much about the bogeyman every weird noise at night. Today was emotional, but also inspiring in so many ways. I was proud of how this community rallied to get our voices heard. I hope I can continue to be a part of that rallying cry for many, many years to come. Here's what else I saw on the web this week. "She is part of a new national effort to try to treat cancer based not on what organ it started in, but on what mutations drive its growth. Cancers often tend to be fueled by changes in genes, or mutations, that make cells grow and spread to other parts of the body. There are now an increasing number of drugs that block mutations in cancer genes and can halt a tumor’s growth." A Test to Predict Whether You'll Survive Breast Cancer? At this point, I'm not sure I'd take such a test. Would you? "The test uses computerised imaging of tumour samples and statistical analysis to measure the number of immune cell ‘hotspots’. Researchers found images of hotspots where immune cells were clustered together around breast cancer cells provided a better measure of immune response than simply the numbers of immune cells within a tumour. Scientists at The Institute of Cancer Research, London, analysed tumour samples from 245 women with ER negative tumours. They split women with breast cancer into two groups based on the numbers of immune hotspots within their tumours. Women whose cancers had a high number of spots lived an average of 91 months before their cancer spread, compared with just 64 months for those with a low number of spots. 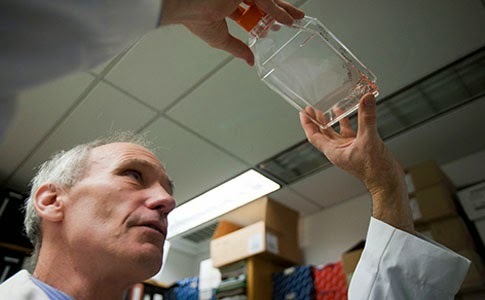 The test is the first objective method of measuring the strength of a patient’s immune response to their tumour." "This is Going to Happen in Our Lifetimes"
This is long, but so worth the watch. It gave me so many goosebumps. And of course, made me cry. Seriously, by the end I was bawling. But also, so very, incredibly hopeful. Please keep me posted! I'm so interested in immunotherapy, partly because I think it makes so much sense (although I'm admittedly not a scientist). Good luck!